The Heroes of Might and Magic series has always been straightforward. The games are about might and magic. Heroes are involved. Ampersands are wielded. And now we're getting it all from a first-person view in Might & Magic X Legacy , the next entry in the long-running fantasy franchise from developer Limbic Entertainment and publisher Ubisoft. "Might & Magic X Legacy is an authentic solo experience in the classic first-person RPG genre," the announcement reads. "Create and lead your group into an exciting world and battle powerful mythical creatures while collecting ancient magical treasures. Through a turn-based gameplay system, defeat creatures and bosses to accomplish unique quests and make your way through dangerous dungeons, cities, and labyrinths full of traps. Dive into vintage Might & Magic and play old school, new rules!" A few spin-off M&M games used a first-person view in the past—Arkane's Dark Messiah of Might and Magic and the mediocre multiplayer Legends of Might and Magic come to mind—but Legacy looks to closely mirror the party setup and combat pacing of Legend of Grimrock instead of a more action-oriented real-time RPG. 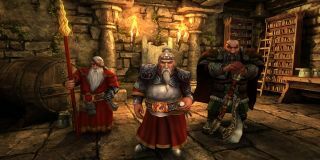 Might & Magic X Legacy doesn't have a release window yet, but it has an official website for you to peruse.